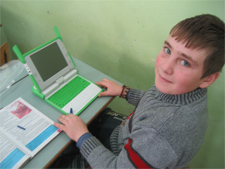 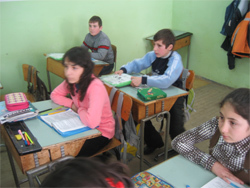 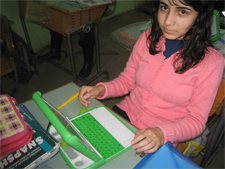 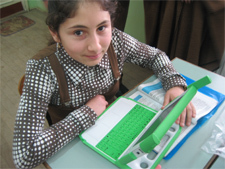 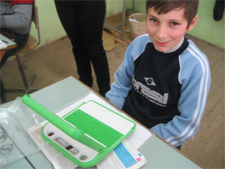 On February 12, 2009, six XO laptops were presented by Dan Dimancescu (Honorary Consul of Romania in Boston) to the Sohodol Elementary School in Bran. 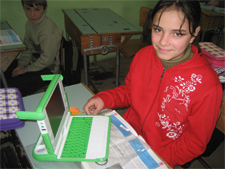 These will be tested in a small class during the Spring term and a school-wide project will be evaluated for deployment in the Fall of 2009. 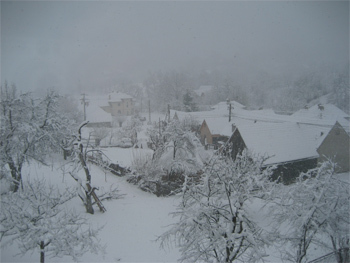 Left: The day of the visit was during a heavy snowfall as seen from a school window in the village.